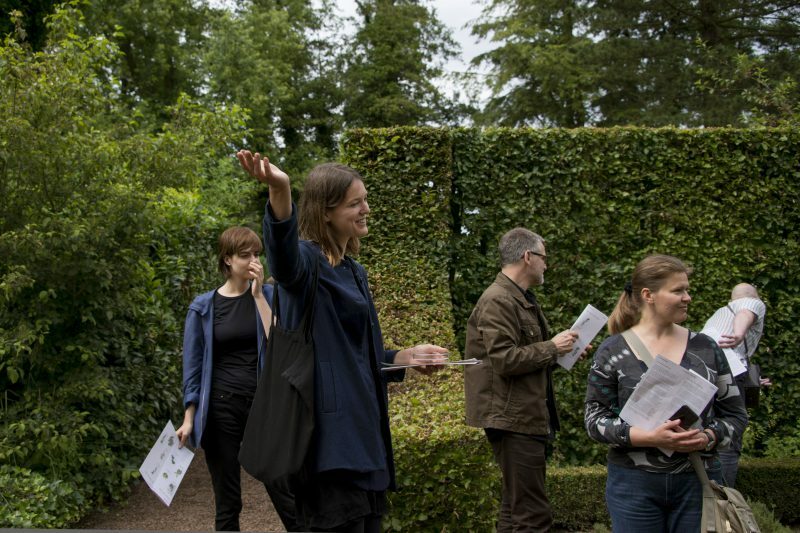 Are you visiting Kasteel Wijlre estate in a group and want to hear about the estate’s past, learn about the garden’s artworks, and get a tour of the exhibitions? Then let one of our enthusiastic guides take you on a tour. A guided group tour costs € 35 (additional to admission fees). Each group can have up to 20 people. Depending on the group’s size, there are several guides available, and tours can begin together. A guided tour takes approximately 1 to 1,5 hours. Tea, coffee and Limburg flan: € 7.50 p.p. Lunch with luxuriously filled bread, salad, quiche, coffee, tea and water: € 20 per person. Lunch with soup of the day, luxuriously filled bread, salad, quiche, Limburg flan, coffee, tea and water: € 24.95 per person. Do you prefer a high-tea, barbecue, buffet lunch or a picnic in our garden? We are happy to get to know your preferences for a memorable stay. 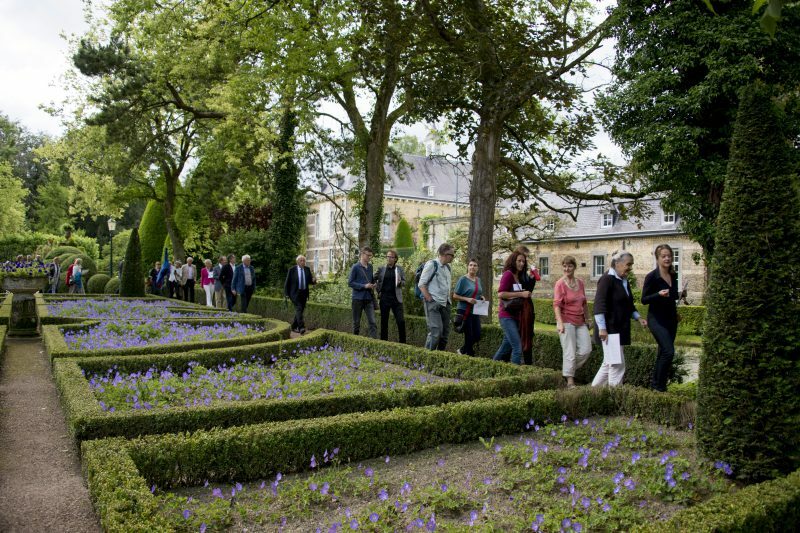 For more information about reserving tours or group visits, please contact Mira Knols: info@kasteelwijlre.nl. For more information about organising a reception, please visit receptions.